We are all aware of what the word “communication” means and what happens when we do not convey our message well enough so that the receiver perceives our message accurately. I certainly have fallen into not communicating my messages effectively. I am sure that you have too and know exactly what I mean. However, in an organization, communication can make or break an organization. With this said, what do you think an organization goes through on a daily basis when the communication process fails? You probably already have seen what happens when the communication process fails. Tasks are not done or done right. I would like to add that with all of my education and research in business management topics over many years, I have found out why organizations fail. It is due to a lack of effective communication. It seems so trivial, but if the communication process breaks down, everything breaks down eventually. It may take many years for the communication process to break down, but it will. So, how do we fix the immense organizational communication problems we may face every day? Motivational communication is a type of clarification method for employees to understand what they have to do in the organization. Leaders must motivate their employees through clarifying what they want from them as well as let employees know how they are doing. Communication through emotional expression occurs within social networks between employees. Employees feel that being part of a group aids them in emotional expression, whatever that might be. Emotional communication is a way to fulfill their social needs. Communication also provides us with information. 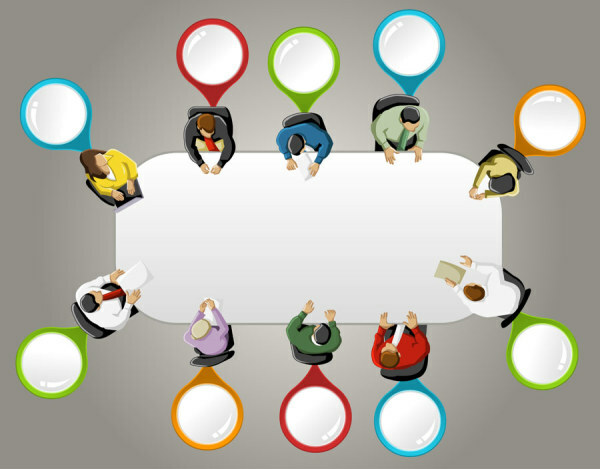 Information communication aids leaders and employees in decision making. Leaders make large and small decisions every day and they have to transmit the information to the employees in order to maintain performance. As the sender, we think or encode what our message will be. For example, when we speak, our speech is the message as well as our body language and facial expressions are part of the message processes. We then choose a channel to send our message also known as a formal or informal channel. 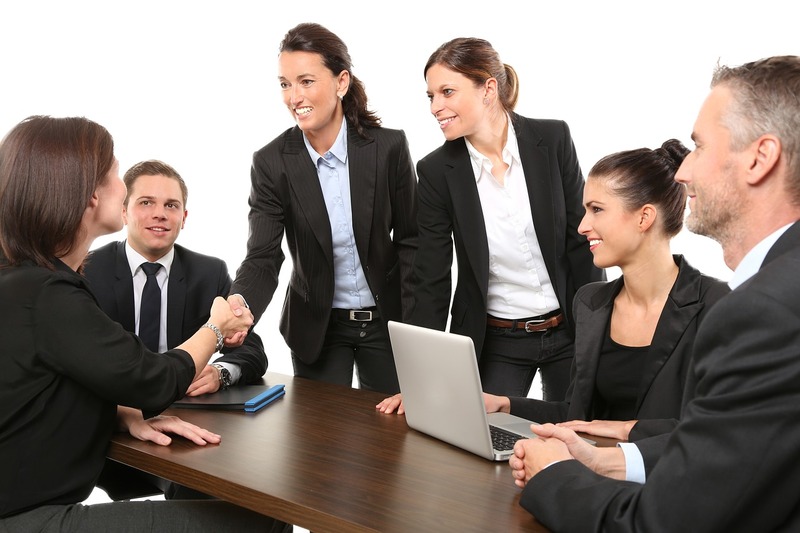 A formal channel can be a type of communication process that is established by the organization that relates to the professional activities of employees. Formal channels tend to follow the hierarchy or authority in an organization. The informal channels in the organization are the personal or social channels that employees use to communicate. The informal channel is more of a spontaneous choice of communication. Once the channels have been established by the sender, the receiver has to decode the message sent. Noise represents the communication barriers, such as personal perceptions or cultural differences, which can interrupt the decoding process. The last process is the loop of feedback. Feedback represents how well the message was transferred and understood by the receiver. Now that we understand the functions and processes, how does that organization carry out communication strategies as a mechanism to create an effective communication process where sender and receiver are on the same page? Downward communication is how leaders and managers communicate with their employees. The purpose of downward communication is to assign goals, delegate job tasks, explanation of policies and procedures, point out issues that need attention, and offer feedback about an employee’s performance. Upward communication is used to communicate with top-level leaders as a process to provide feedback to top leaders about the organizational progress towards goals and relay what the current problems are in the organization. The purpose of upward communication is to aid top leaders in keeping up with how employees are feeling about their jobs and to stay abreast of any other issues in the organization in general. Lateral communication is when communication is within the same work group or department. Lateral communications purpose is for leaders, managers, and employees that are at the same job level in the organization, which aids all employees involved in what is happening in the department or within the same job levels. Ok, so now that you have learned about the functions and processes of communication in organizations, maybe you will recognize them when you are communicating with your leaders and colleagues. Try and use the 8 steps and see how the receiver perceives your message. You may also want to experiment with the 8 steps in your personal life and see how your conversation goes. 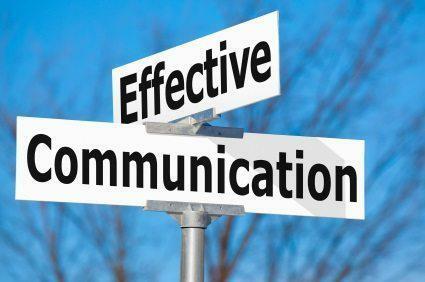 We all need extra work in communicating properly and effectively, so why not try out effective communication in your organization. You might become a trendsetter. We hope you enjoyed this post: Organizational Communication: Functions and Processes. Please use our star and reaction tools below to help us better understand what type of posts you do and do not like. For further engagements, please feel free to leave a comment. 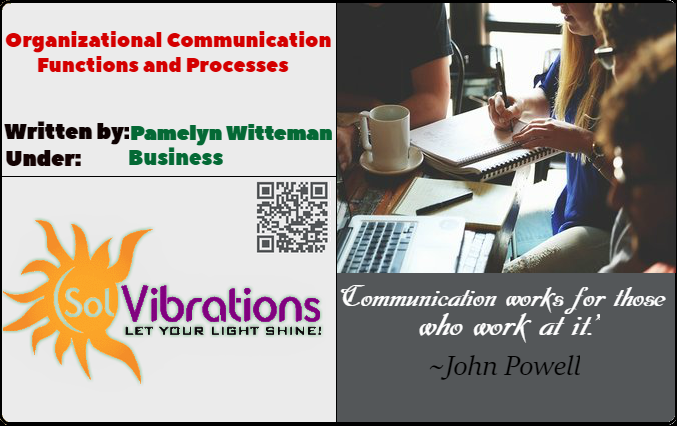 Despite being born into a flawed family that resulted in educational challenges, Dr. Pamelyn Witteman succeeded in becoming a competent and sought after Ph.D. in Business Management. Dr. Pam also holds Bachelor and Master Degrees in Management as well as a Post Master's Certificate in College Teaching. Attaining degrees were a challenge for Dr. Pam due to lack of continuity in her early education. In addition, Adventure has always been a large part of her life and as a Pilot Dr. Pam loves to fly by the seat of her pants. Life sends us challenges and the way we deal with them shows us our true character and Dr. Pam has it all in spades. Married, Dr. Pam lives her life educating others while in her Mountain home Dr. Pam takes care of her animals and devoted Husband of 15 years. Dr. Pam continues to educate herself and develop new ways of passing knowledge onto others.